The goal of Pop-up Pitches is to connect filmmakers with other industry professionals and resources that will enable them to finalize the packaging of their film in order to secure funding. 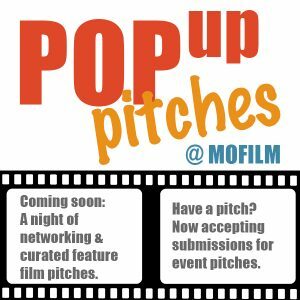 The next Pop-up Pitches event will be scheduled once the pitch slate is full. 2 minute or less video element (sizzle, teaser, sample, test) - Video for the event doesn't need to be original i.e. you can use elements from pre-existing properties to present story, tone, etc. **Business Plan will not be required to submit or distribute to event guests but you should have these materials so you are ready for follow-up discussions. It’s all about preparation! By submitting to Pop-up Pitches you agree to our Legal Terms.